The colour has a golden straw hue with green tinges. 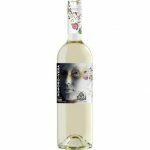 The main aromas are reminiscent of white flowers and yellow fruit, enhanced by touches of exotic and citrus fruit. On the palate, the wine is alert, seductively suave and fresh. Castillo del Moro wines are made entirely from free run juice and fermented in temperature controlled, stainless steel tanks and then matured on fine lees until bottling. The resulting wines show unparalleled freshness and aromatics. This vibrant wine is full to the brim with spice and classic fruit. Lovely grainy texture, good depth balanced with crisp acidity. Try with light Asian flavours. Brilliant and pale gold in colour with subtle green highlights. The nose is intense, with good balance between freshness, fruit, vivacity and finesse that complement its minerality. Notes of citrus fruit and lime on the palate with a touch of mint. A rich palate with passionfruit and blackcurrant flavours and a salty minerality. This wine has a silky luscious texture and a long lingering finish. Fresh acidity, with a touch of minerality ensures the finish is crisp and clean. Aromas of passionfruit and citrus lead into a palate showing vibrant, tropical fruit flavours. A distinctive and classical Marlborough style. 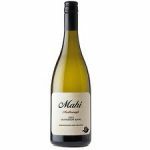 A great expression of a Marlborough Sauvignon Blanc displaying a fruity sweetness with punchy aromatics and a fresh crisp acidity. 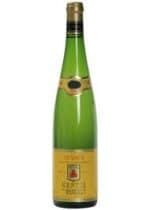 Youthful, classic Riesling. Aromas of citrus rind, wet stone and a hint of green apple. A pure, linear palate with full flavours, perfectly balanced by high natural acidity. The nose is clean with generous aromas of ripe grapefruit, peach and apricot. Fresh on the palate, fruit driven with clear lemon acidity and pure mineral notes. Pale and bright in colour with a light bronze tint. The nose is restrained and fresh with aromas of apple, spice and citrus. 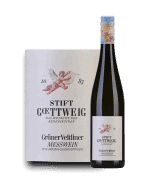 The palate is medium bodied and fruit driven with a vibrant core of pear and apple flavours, more spice, an attractive textural grip and soft mineral length. A voluptuous, exotically perfumed nose, with deliciously well-defined primary aromas (some floral notes, roses, lilies…), complemented by secondary aromas derived from the wine’s controlled fermentation. Silky and sappy on the palate. 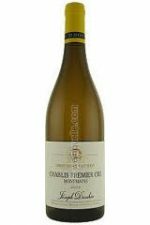 The palate displays good textural qualities with mouthfilling herbaceous, grassy flavours, a light smoky overlay, lime and mineral. Clean crisp finish. Good length with medium to long grassy, citrus, light smoke and mineral aftertaste. By using hand-picking parcels, barrel-fermentation, wild yeasts, and some malo-lactic at times we aim to produce a complex, rich style of Sauvignon, that lasts well on the palate and suits enjoyment with good food. 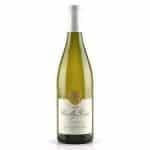 On the palate, it is a very pleasant dry wine, agreeably thirst-quenching with softness and harmony. Minimum 6 bottle purchase. 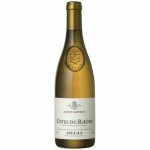 Pale straw with green tinges, there is a fruity and fragrant nose, reminiscent of mint leaves and at times, lemongrass It is generally medium to full bodied with a characteristic flinty aftertaste. The palate is fleshy, a nice richness and almost opulence without heaviness, all is well balanced soft, tender with a lively acidity on the finish. Minimum 6 bottle purchase. Beginning with mineral grapefruit and flinty notes on the nose, this wine opens up superbly on the palate. Long, deep and subtle in flavour with crisp acid which completes a fine example of the style. Aromas of green and red apple, quince and spicy pear notes feature on the nose. On the palate the wine is soft and textured, leading into a balanced and dry styled finish. An opulent dry styled wine with aromas of sweet pear, honeysuckle and stonefruit overlaying a generous mouth feel of great weight and depth. The creamy texture on the palate from the lees stirring provides the backbone to a long and lingering finish. The fashionable Pinot Grigio grape continues to gain popularity with consumers searching for light, delicate fruit flavours and a refreshing unoaked finish. 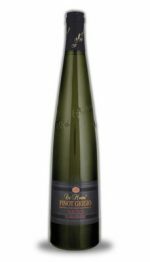 San Floriano Pinot Grigio is a classic, well presented example. The palate is wonderfully pure and crisp with flavours of apple, citrus and white flower carried by a shimmering mineral backbone. The finish is long, dry and beautifully crisp – the perfect partner for delicate seafood. 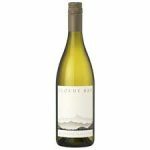 The fresh and textured palate displays light citrus tones as well as flavours of quince, almond meal, and a subtle hint of spice that lingers with a long finish. “The Catalina pinot gris is stunning. It is bursting with delicate fruit and has a beautiful peach blush. So refined, an utter delight. You should definitely get a case or two!” Wine House, 8/12/07. 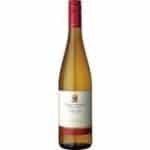 On the palate, you are treated to wonderful flavors of sweet orange and sweet lemon with a touch of orange flower water and ample acidity in the finish. Lifted aromas of fresh cut apples and minerals on the bouquet is followed by pure fruit intensity on the mid-palate and extraordinary length. This is an incredibly pungent Sauvignon Blanc with powerful passion fruit, grapefruit and blackcurrant and an underlying mineral note. The palate is intensely concentrated and full with a long, lingering finish. The palate is textural and rich with ripe tropical fruit and grapefruit. The finish is crisp and dry. Lively and zesty, citrus sorbet, zippy acidity balanced with natural fruit sweetness. Nice persistence on the back palate. The palate is fine yet succulent, with zesty citrus flavours and fresh acidity. There is an appealing plushness about this wine especially as it leads into a lingering and characteristically crisp finish. 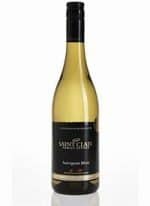 This sauvignon blanc is showing light fragrances of lychee and ripe passion-fruit, where the plate reveals a balance of lush fruit and crisp citrus acidity. The palate is rich, sweet fruited and complex with layers of guava, passionfruit and gooseberry. The acid/fruit balance is excellent with a lovely herbal flinty character and a lingering perfume on the finish. This is a reason why Marlborough Sauvignon Blanc is so famous. Enjoy! 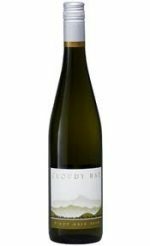 Notes of elderflower, lemon/lime, tropical papaya and hints of fresh fennel are defining features of the 2011, along with a full, creamy palate entry, lovely weight and a long and focused finish.